FROM MY HOME IN Central Kalimantan, a province on the southern side of Indonesian Borneo, I have observed the Australian coal boom. Recently I was in Australia to talk about environmental destruction in Kalimantan and I was surprised how few people know that Kalimantan is experiencing a similar rush to extract fossil fuels. I think its important for Australians to know more because of the connections between our countries in the global coal market and the environmental crisis it is producing. Since 2000, Indonesian coal exports have increased on average by 18.4 per cent per year. In 2012 Indonesia produced 504 megatonnes (Mt) of thermal coal the majority of which (383 Mt) was exported. This increase was enough to make us the number one coal exporter in the world, a dubious title that we took from Australia. The connection between Australia and Indonesia isn’t just as competitors in the coal market. Australian companies are also leading the race to cash in on this resource boom. For example, BHP Billiton’s planned megaproject, IndoMet, would be the largest initiative in my home province of Central Kalimantan. The IndoMet project is situated in the thickly forested and remote Upper Barito Basin. It covers 350,715 hectares, roughly one and a half times the size of the Australian Capital Territory, and has estimated coal reserves of 774 million tonnes. This is two and a half Australia’s annual thermal coal exports for 2012. Based on the potential of IndoMet alone, the Upper Barito Basin may be the largest coal deposit worldwide yet to be utilised, and the last frontier of global coal production. A megaproject like IndoMet comes with serious environmental and social costs that BHP and its financiers don’t recognise. There are many communities living in the Barito Basin, who have lived on these lands for generations. These communities live in the forests that these mines will clear and drink and wash in the rivers these mines will pollute. We are extremely conscious of how these mines will affect our communities that have depended on forest and rivers systems like the Barito Basin for their livelihoods for generations. Megaprojects risk displacing communities, impacting on their health through air and water pollution, and compromising livelihoods based on small-scale farming. In my home region we have already seen the destructive effects of resource projects. Some people have sold their communal land to the resource companies but have not seen any long-term prosperity from these mining operations. The jobs that mining companies bring do not last long, and in the few cases that local Dayak people are employed the people who take these jobs often find money does not satisfy them when they realise they are undermining the culture and way of life their people have cultivated for generations. Those who keep land in communal ownership to protect it from logging and mining are often harassed, and I have seen men attacked and badly injured for standing up to companies in the past. The Indonesian government is often no help at all, and the police and military are well known for standing up for the rights of multi-national companies, not those of the ‘orang kampung’, the people living in the villages. My organisation has worked in communities all over Indonesia to greater recognition and respect for their land rights and rights to participate in decision making. Our forests are also of global environmental significance. The heavily forested Upper Barito Basin is home to large populations of orangutans and potentially many other species yet unknown to science. These forests form a significant part of Borneo’s mega-diverse and world-renowned forest ecosystems. 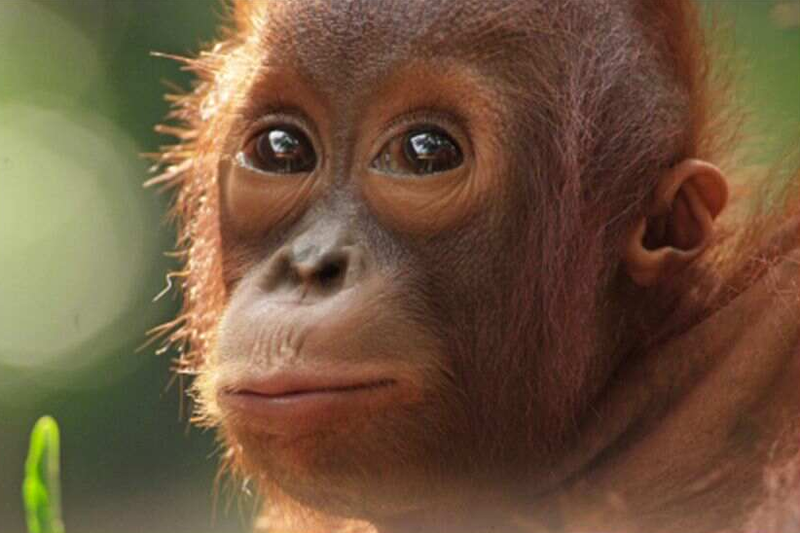 Their value has been recognised and there is an internationally supported conservation agreement, the ‘Heart of Borneo’ initiative that aims protect them for their biodiversity and carbon sequestration potential. Yet, the IndoMet concessions are located within the Heart of Borneo area. If BHP continues with its plans for open cut mines it will be a disaster for my people and it will be a disaster for these fragile ecosystems. The Barito watershed is a home and source of life for thousands of traditional landowners. We simply can’t afford to allow our rivers to be polluted and our forests cleared and see the profits go overseas. If the IndoMet project and others like it continue it will threaten our peoples’ way of life. I ask the Australian people, now that you know a little more about Australian coal interests in Kalimantan, do they believe that these companies should be able to pursue these plans when so few people in the local community support them? These are not only problems for Indonesian people. The extraction and burning of fossil fuels causes climate change which will ultimately affect people across the world. These are questions that I still have but I hope that by raising awareness about these issues other people will ask similar questions and raise their voices to support the struggle of the communities in the villages where my family lives. Arie Rompas is Executive Director of WALHI (Indonesian Forum for the Environment/Friends of the Earth Indonesia) Central Kalimantan Branch. He is a member of the Dayak Siang people from the Upper Barito Basin, Central Kalimantan.